Mortgage Calculators to help you determine the best course of action when considering a home loan. The loan approval process has never been as easy. We offer a variety of secure and convenient application options. Maryland Mutual Mortgage is a local mortgage lender with years of experience working with borrowers looking to purchase a new home or refinance their existing home. We look at each of our clients and their financial situations as individuals, allowing our team to find mortgage solutions to fit their specific needs. 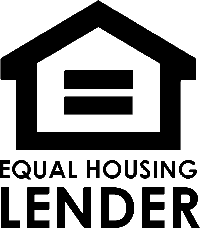 Our staff consists of federally registered mortgage professionals who offer competitive rates and a level of personal service that every borrower looks for. Whether you are a first-time home buyer, refinancing your current loan, or consolidating debt, our highly experienced team of mortgage professionals can help you every step of the way! Don’t make the mistake of becoming another number for one of the many “1-800-Dial-a-Loan,” or online-only lenders out there. Maryland Mutual Mortgage can give you the competitive rates, costs, and services these revolving door lenders advertise, but with the convenience, accessibility, and care only your neighborhood lender can provide. At Maryland Mutual Mortgage, our ultimate goal is to create lasting relationships with each of our clients so that we may earn the opportunity to provide continuing service to them, their friends and their family. Although we are located in the small town of Forest Hill, Maryland we offer mortgage and refinance services to clients in 48 states! The following products are offered in 48 states backed by the strength of a national bank. Make sure to spend some time browsing around & check back often for updates! Click Here to find the lowest gas prices in the area. Make sure you check back often! Even if you’ve just refinanced or purchased a home, we can find other ways to save you money. Local deals, coupons, tips, advice, etc. Take advantage of some of our current money-saving features, and be sure to check back for added features coming soon!